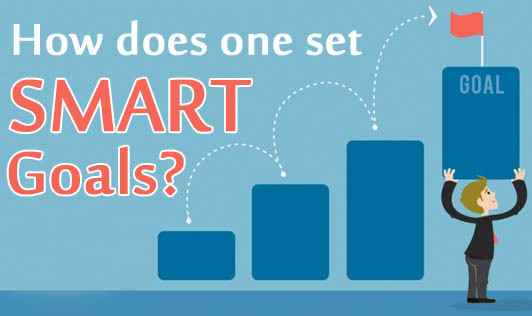 How Does One Set SMART Goals? M - Measurable: How will you know when you have achieved you goal? For this set a timetable and plan for each day. Try to finish off the tasks you jot down for that specific day. If you are unable to complete your task on a given day, try finishing it on the next day. If not, revise your plan again. Also closely monitor your progress. Is something slowing you down? Try to shift timings so you can push your task to more suitable time. R - Realistic or Relevant: Think realistically and set more relevant goals. Realistic thinking will also offer more motivation because they will be easier to achieve. When something seems easily achievable it will also look simpler to you.